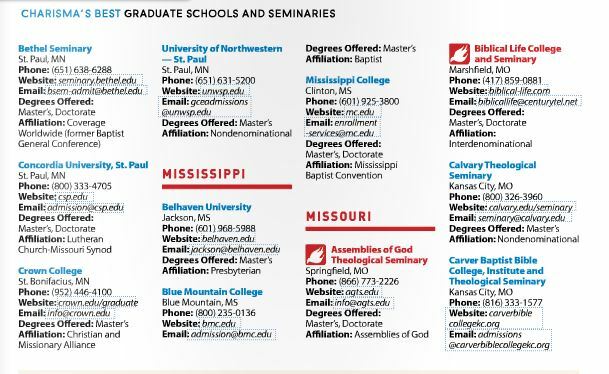 Charisma Magazine has ranked Biblical Life College and Seminary among the best Graduate Schools and Seminaries in the Nation. I am not a student (nor have I ever been) of Biblical Life College and Seminary but wanted to drop a line and congratulate all of you for this honor you recently received from Charisma Magazine. My only link to the school is through Dr. Lakes video teachings and his books (which have been a blessing to me). Wish I could have attended a school like Biblical Life College instead of the one I did attend (I will not name the school I attended but now that I know what I know I realize the vast majority of my time there was wasted and even could be classified as “programming” which I am still struggling to unlearn and replace with the truth of the Word). Why am I not surprised. Blessings to you Pastor Lake for standing tall, standing up and not compromising the word of Yahweh. Thank you also for being a bond servant and not proclaiming all of your accomplishments, and there are many, but instead you choose to proclaim the Creator of the Universe and his Beloved Son. As a reader and a listener you have no idea how refreshing that is, it is also extremely rare. In fact right at the moment I can’t think of one other person that doesn’t remind us continually about all they have done I guess they can’t remember who allows them to take the next breath. Understanding the Kingdom of Darkness and the Title "Satan"